Big Tires = More Fun. 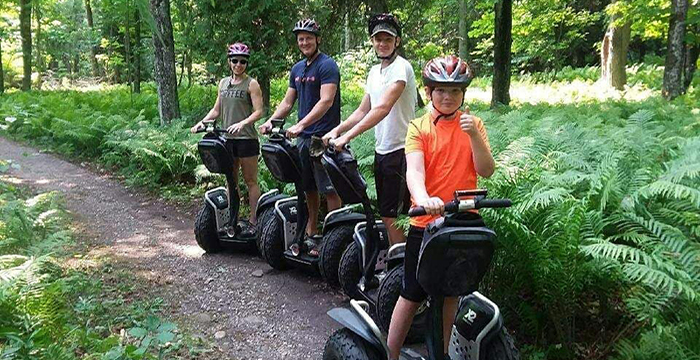 Have fun speeding through Door Countys backcountry as you ride an Off-Road Segway. With deep tread ATV-style tires, our bigger Segways handle terrain with ease – giving you a fun and smooth ride. Before you know it, youll have a smile on your face as you experience the thrill of your Off-Road Segway adventure. We take time with our training to be sure everyone is very comfortable before heading out to the trails, and we think you will be amazed at how quickly you become comfortable. Reach the Beach tour- Experience the thrill of riding an Off-Road Segway to beautiful Sand Bay Beach located along the shores of Lake Michigan. During your tour, you will ride on 5-miles of off-road trails which meander through 100-acres of woodlands. 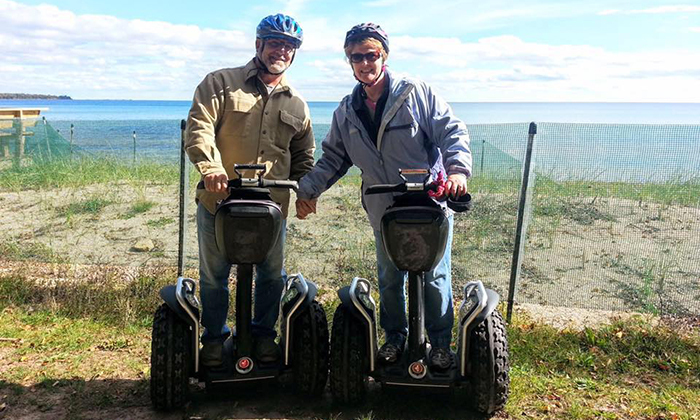 Reach the Beach tour with Fish Boil- Experience the thrill of riding an Off-Road Segway to beautiful Sand Bay Beach located along the shores of Lake Michigan — plus enjoy an authentic Door County fish boil at Rowleys Bay Resort. Peninsula State Park Tour- Trails too wet to go out? Then join us for our Peninsula State Park tour. 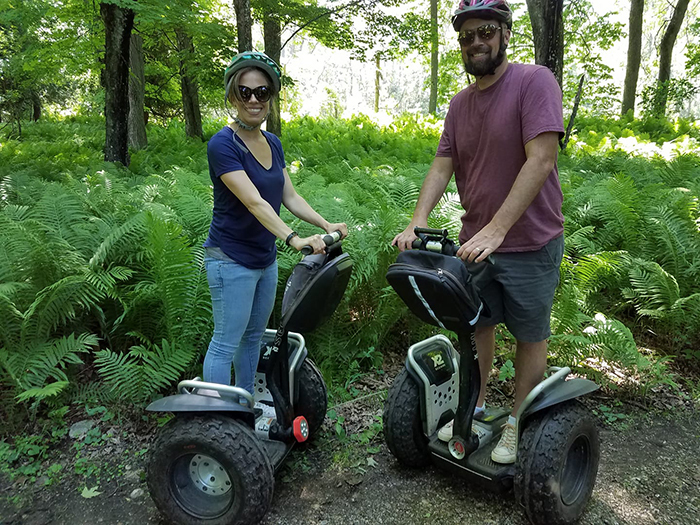 While not an off-road tour, the bigger tires of our Segways will give you a smoother, more comfortable ride as you glide along, taking in the beauty of your surroundings. Your Door County vacation is about to get awesome! Now owned by Rick and Julie Rogers, they continue to share Door County’s heritage of amazing landscapes, cherished landmarks, quaint villages, and picturesque bluff-lined shores. Well-known for combining humor with bits of trivia, Rick creates an experience that is both fun and educational for the whole family. Its more than a ride. Its an experience. Join us! Adventure is out there!